From my hotel that used to be a Gimbels department store to the hopelessly cute Asian lady beetles in the lakefront Veterans Park that were attracted to my orange fleece jacket, Milwaukee continually offered up one unexpected little delight after another. Having diverged from its beery reputation, Milwaukee now presents a wide variety of attractions, but I think its best ones are also some of its oldest. These are my favorites. This combined natural and human history museum boasts 4.5 million objects that cover anthropology, biology, geology, history, and zoology. Originally opened in 1884, the Milwaukee Public Museum has been housed in its downtown location since 1962, spread out over three floors. Exhibits took me around the world, from a tribal South Pacific village to an Arctic igloo to a dense rain forest. 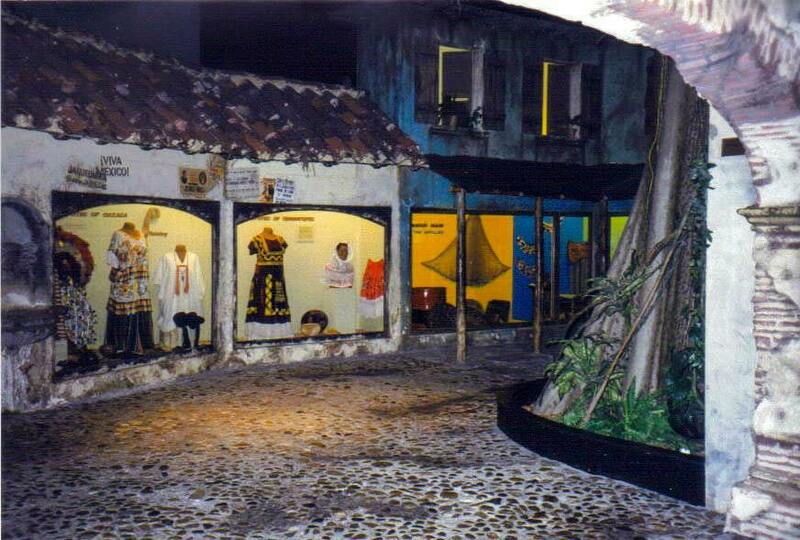 My favorite parts were the large-scale dioramas that you can walk through, immersing yourself in an Indian marketplace, a Latin American street, and a European village before returning to the “Streets of Old Milwaukee,” which transported me back 100 years as I strolled through the nighttime streets of the city. Another highlight is the butterfly wing, where I walked through a lush tropical garden while these silent free-flying insects flittered about me in flashes of brilliant color. After you exit there, checking yourself in mirrors for any hitchhikers, you can enjoy a show in the museum’s planetarium or the first IMAX in Wisconsin. 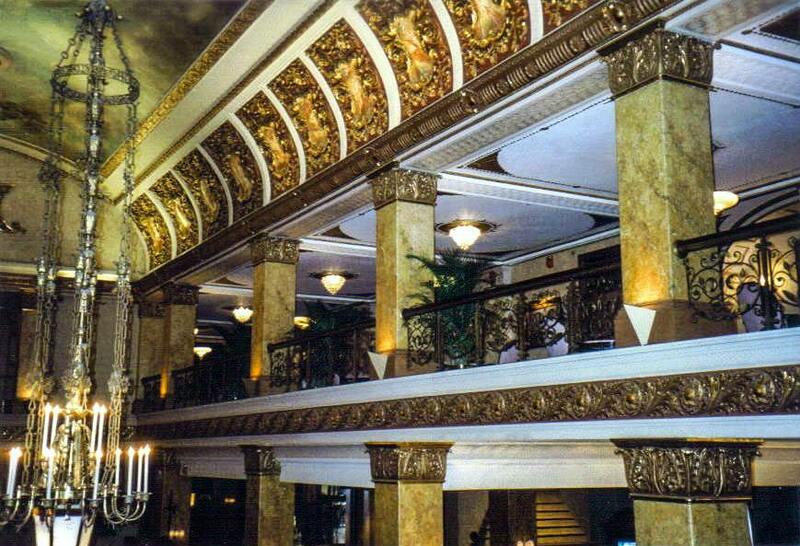 My best meal in Milwaukee was the tremendous brunch at the opulent Pfister Hotel, the grandest of the city’s old-world luxury establishments, opened in 1893 and still a beacon of style and character. Held in The Rouge, one of the hotel’s classic dining rooms, the $40 brunch features carving stations, a made-to-order pasta station, and a mimosa and Bloody Mary bar — just a few of the more than 40 items you can feast on. In the mood for breakfast? Enjoy a champagne and orange juice; a giant pepper, cheese, and mushroom omelet; blintzes; and crispy bacon and toast. Prefer lunch instead? Help yourself to some tilapia, chicken, penne with alfredo sauce, ravioli with Maine lobster, braised pork, and cranberry-scallion wild rice. Of course, you’ll want to finish with something sweet, which means a generous serving of fresh fruit and a large selection of decadent desserts, ranging from pumpkin pie with cinnamon whipped cream to key lime pie shooters to chocolate layer cake. After you’ve satisfied your edacious appetite, you can start to burn off all those calories with a walk around the hotel to admire the largest hotel collection of Victorian art in the world. 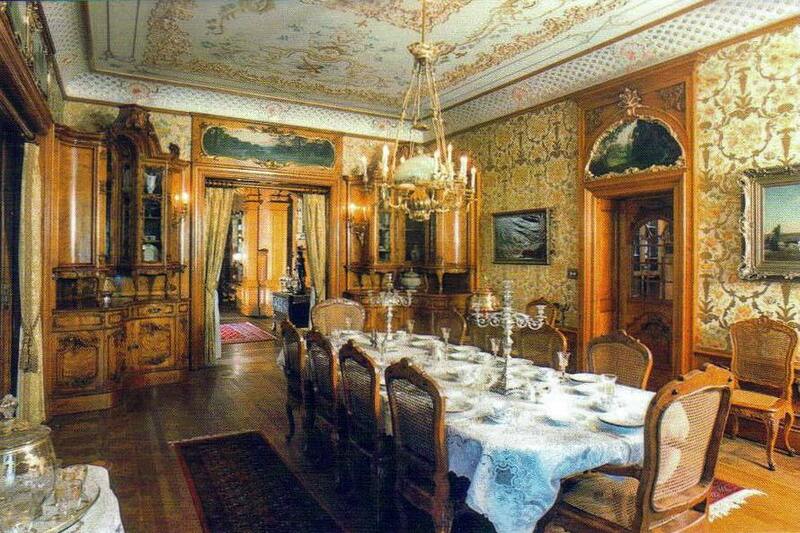 The fortunes of Milwaukee’s beer industry are very much in evidence at the Captain Frederick Pabst Mansion. The founder of Pabst Brewing Company built his magnificent Flemish Renaissance structure in 1892 (with an additional pavilion that was originally the Pabst showcase at the World’s Columbian Exposition in Chicago in 1893), and it immediately became the premier residence in the city, boasting 66 rooms, including 10 bathrooms on five floors, 210 windows, 137 doors (including beautiful pocket doors), 14 fireplaces, and 14 hidden compartments in the study. Remarkable woodwork pervades the home — banisters, ceilings, wainscoting, hops bud finials accenting the Grand Staircase, no floor in any of the rooms alike (and some of it relocated from Bavarian castles). The Pabst family didn’t get to appreciate the grandeur of their mansion for very long — the captain and his wife were both dead by 1908 — and the mansion was sold to the Archdiocese of Milwaukee, which, in turn, sold it in 1975 to a party that ultimately wanted to raze it for a parking structure. Fortunately, preservationists stepped in, and today the building remains a throwback to the glamor and style of America’s Gilded Age. One does not often associate medieval architecture with the United States. On the campus of Marquette University, however, you’ll have the rare opportunity to see one of only a handful of such structures in all of North America. The perfectly charming Gothic oratory officially named the Chapelle de St. Martin de Sayssuel was built around the 15th century in the French village of Chasse-sur-Rhône. Abandoned after the French Revolution, it was rediscovered after World War I by a French architect who had it shipped, piece by piece, to a private owner in New York in 1927. While there, the chapel received an additional element — a stone — that resulted in its more commonly used name. According to legend, Joan of Arc prayed before a statue of the Virgin Mary while she stood on this stone. After she finished, she kissed the stone, which remains colder to the touch than any of the stones around it to this day. 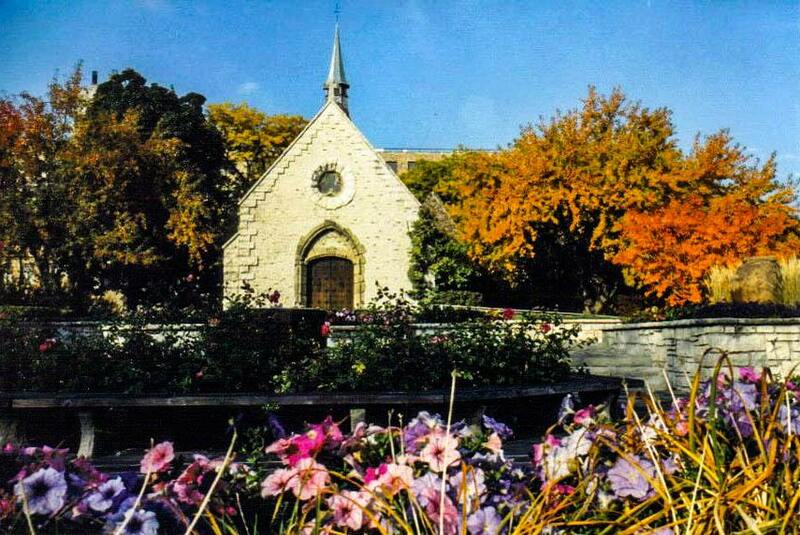 The St. Joan of Arc Chapel, the “Joan Stone,” and the tomb of a French knight buried in the chapel floor made their way to Milwaukee in 1964 and remain the highlight of the campus. Built by poor Polish immigrants from 1896 to 1926, the eye-popping Basilica of St. Josaphat reigns as Milwaukee’s largest church. Only three years after its completion, the church was elevated to basilica status (the first Polish-American church to be raised to this honor). The basilica is dedicated to St. Josaphat, who was born in the Kingdom of Poland around 1580, and, in 1623, was hacked to death, shot, stripped, set to wild dogs to tear him apart, and thrown into a river with stones tied around his neck. 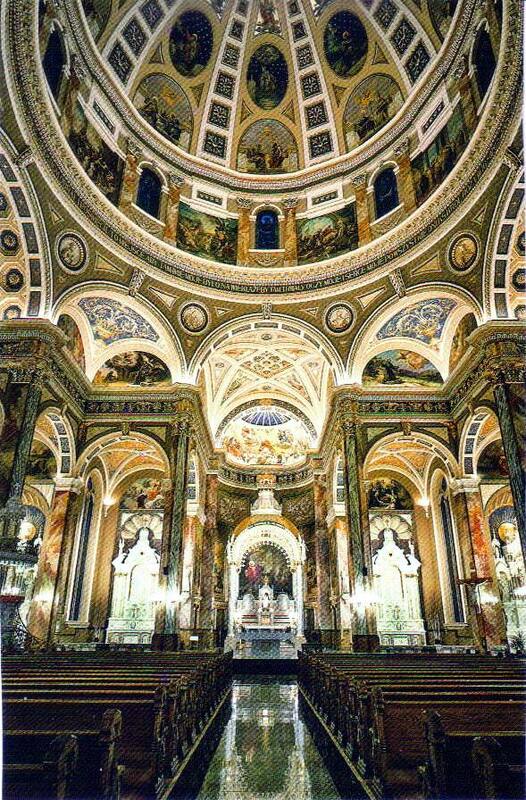 The third named basilica in the United States features salvaged materials from the demolished Chicago Post Office & Customs House as well as what was, at the time of construction, the second-largest dome in the country, smaller only than the one atop the U.S. Capitol. This National Historic Site (listed in 1973) includes wonderful oil murals by the Italian artist Gonippo Raggi, stained-glass windows imported from Austria, ornamental plasterwork, life-size angels holding clamshells filled with holy water, and marmoreal Corinthian columns. Behind the altar, an eerie painting portrays Josaphat, more brightly illuminated than anything else, with a darker figure holding up an ax behind him, ready to split his skull open. As I admired the tremendous interior, churchgoers began to arrive for the 10 a.m. Mass. And they kept coming, until it seemed like the basilica’s capacity of more than a thousand was breached. Sensing something special, I stayed for the Mass, which featured an exceptionally talented choir. Clearly, even after a century, this basilica maintains its importance and status as one of Milwaukee’s most impressive sites.